“Those from Cioac-h took everything, they have stolen everything and what is of no use to them, they have burned” say displaced indigenous. Las Margaritas, Chiapas, April 16. “In a few words, brothers: the ejidatarios of Cioac-h from Miguel Hidalgo, took everything, they have stolen everything and what is of no use to them, they have burned,” denounced indigenous Tojolabal families displaced from the community of Primero de Agosto on 23rd February by the Independent Central of Agricultural and Campesino Workers – Historical (Cioac-H). “They are are burying us alive, trying to kill us just because we want to keep our families producing from the land” they say from their camp, on the 96th anniversary of the death of General Emiliano Zapata. “Since then, a series of violent events took place towards our people and we could no longer live in peace, so the first day of August 2013, we went into the predio el Roble, to work it and for the 17 families to live in the barren area and build our collective life. According to the ejidal plan, the area now known as Primero de Agosto does not belong to the ejido Miguel Hidalgo” state those originating in the jungle border area. Nine months later, the indigenous Tojolabals say, “on the morning of May 8, 2014, militants of Cioac-h from Miguel Hidalgo, led by the ejidal commissioner Reinaldo Lopez Perez, entered the village of Primero de Agosto with sticks and machetes and planted corn in our plots of land telling us that we do not have the courage to face them.” The provocations had begun. The next day, Friday, 9th May in the afternoon, “the people from Cioac-h returned, they attacked us and wounded compañero Arturo Pérez López, aged 24, in the neck with a machete. To date this event remains unpunished. Arturo has lost the use of his left arm and has not received the necessary medical care,” say the indigenous who were attacked. 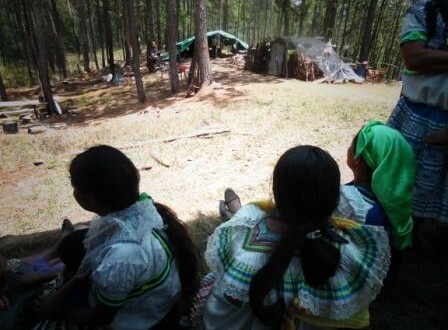 Seven months later, on 17th December, they say that 50 men and women, members of Cioac-h from the ejido Miguel Hidalgo, entered the village of Primero de Agosto, carrying sticks, machetes and some with heavy weapons. “We have received orders from our organization, that if you take your things and if you speak, we have orders to kill you. We are men and we are with the government,” said the commissioner Reinaldo Lopez Perez to the families of Primero de Agosto. “In a land plot they began to destroy two houses. They left everything destroyed, including roofing materials, coffee bushes and fruit trees. 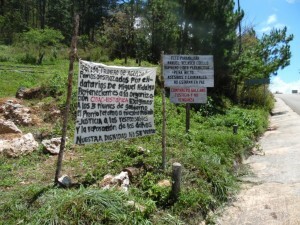 They mocked us, saying that we do not have the courage to face them and defend ourselves;” they again provoked the community of Primero de Agosto in order to start a confrontation between indigenous, characteristic of the way in which the Cioac-h operates in the area, with the support of the three levels of government. 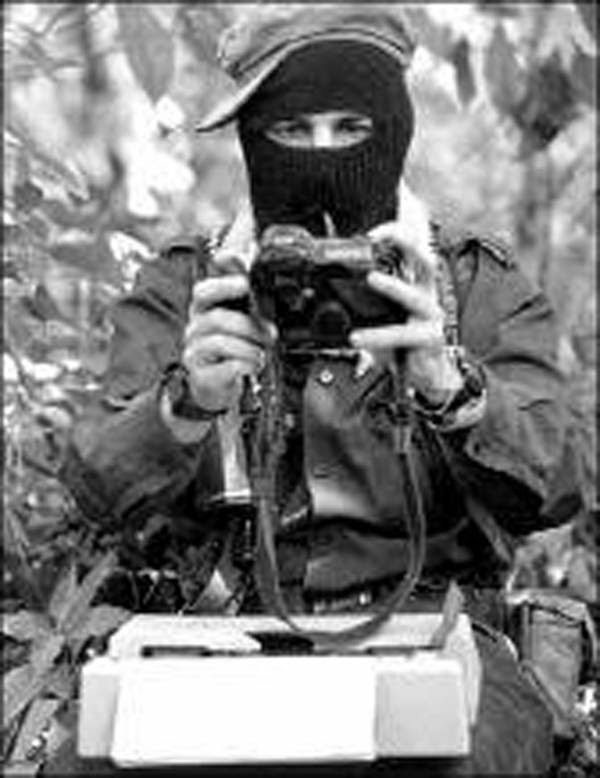 One example is the attack by members of the Cioac-h on the Zapatista community of La Realidad, on 2nd May, 2014, when the Zapatista teacher Galeano was killed and the school and autonomous clinic of the support bases of the EZLN was destroyed. “On 28th December, we met with government agencies and authorities of the ejido Miguel Hidalgo, who pledged to avoid physical and verbal abuse and to no longer carry firearms,” ​​added the families of Primero de Agosto. “Miguel Hidalgo violated the agreements signed” they later denounced, in another meeting with government agencies on 8th January, 2015. 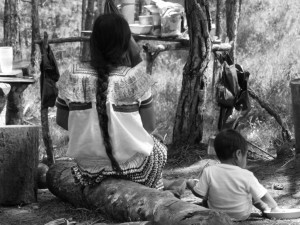 Soon after, on 23rd February, 2015, the 17 indigenous Tojolabal families from the community of Primero de Agosto were violently displaced; these were made up of 12 minors, a newborn, 20 women and 25 men. Their coffee bushes, sowed crops and growing plants, chickens, clothing, shelter, utensils and tools were stolen and destroyed. TESTIMONIES: “I want to return as soon as possible to my house, because I want my baby to be born well,” – displaced indigenous Tojolabal in Chiapas. 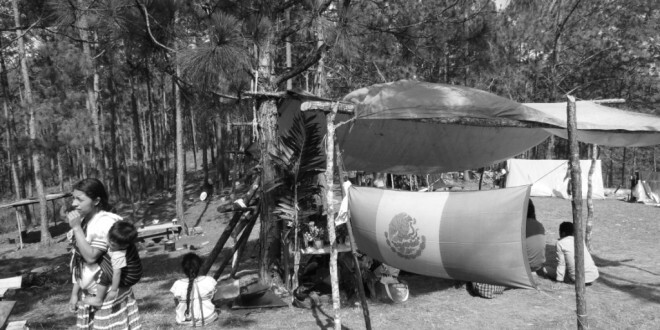 “We decided to resist until the end,” – indigenous children displaced in Chiapas.